The beagle dog breed has been around for over 500 years. Beagle dogs are a loving, energetic and loyal breed. According to the American Kennel Club Registry Statistics, the beagle is one of the most popular dogs in the United States. They make excellent family pets because of their happy-go-lucky nature and because they are relatively easy to care for. Beagles originated in England in the 1500s. They are a cross between the Harrier and other English hounds. English hunters used them to track deer and hunt hares. The term beagle has a number of possible origins, including the French word "begueule," meaning open throat, because of its unique voice; or the Gaeilic "beag" meaning little. Today, beagles are commonly used as sniffer dogs. They are used to detect narcotics and are the breed of choice for detecting illegal items in luggage. The beagle varies in height from 13 to 15 inches tall. It has a compact and square build. The coat is a variety of color combinations including tri-color, black and tan, and white and lemon. The coat is hard, thick and medium length. The beagle sheds minimally. The most distinct characteristic of the beagle is the large, pennant-shaped ears. The most famous and visible beagle is Snoopy from the comic strip "Peanuts." The beagle is a high-energy breed that is very friendly and intelligent. It makes an excellent family pet because of these characteristics. Beagles traveled in packs for many years, so they are used to being around other dogs. This makes them excellent companions and playmates to other dogs. The beagle is a sociable breed and they do not like to be left alone for a long period of time. Beagles are often recognized by their distinct bark, which is more of a howl. Beagles have any easy to care for coat that requires very little grooming. Beagles have a lot of energy and stamina so they require regular exercise and walking. Beagles have a long life expectancy. Beagles live between 12 to 15 years, so it is important to understand that they require a significant commitment when considering this breed. The beagle is a healthy breed of dog with relatively few medical concerns. 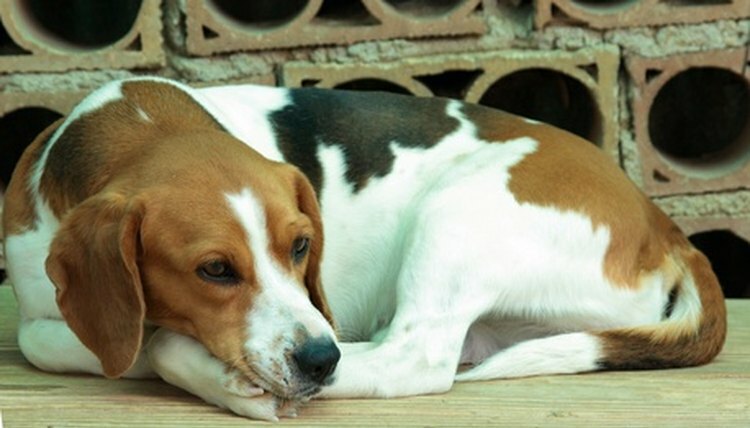 Hip dysplasia can affect beagles. This condition can lead to lameness and arthritis. Another condition called achondroplasia is common in beagles. This degenerative disease affects the front limbs. Beagles are commonly affected by epilepsy.